President Donald Trump’s call for citizens to “buy American and hire American” has had the unintended effect of bringing to light the ongoing, silent struggles of legal immigrants seeking employment and eventual citizenship. 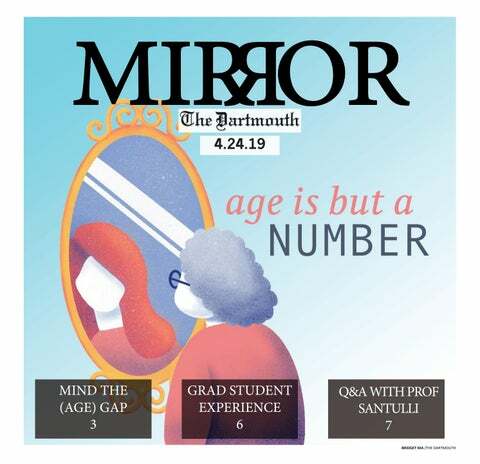 Even from its position in the far, northeast corner of the United States, Dartmouth is not sheltered from the ever-complex and ever-changing winds of immigration policy. The case of Kriti Gopal, a Dartmouth employee whose immigration and employment status is in jeopardy, serves as an example of the difficulties involved with navigating this unforgiving policy landscape. In 2009, Kriti Gopal moved to the United States from Mumbai to study at the University of Central Missouri. As a first-generation international student, she was excited to learn, both through her classes and by observing first hand the way in which the United States’ higher education system functions. “It was hard for me to understand how the education system here is laid out … And because I was an international student, there was no way for me to take a tour of the colleges I was applying to beforehand like students have that opportunity here,” she said. Curious, Gopal eagerly sought out student jobs in administrative positions at UCM. She started working with the international programs office, and by the time she graduated, she had worked in almost every administrative office on campus. After graduation, faced with the decision between going directly into the workforce or continuing her education at the graduate level, she chose to pursue her interest in administration in a more academic setting, eventually receiving a master of science in college student personnel administration. “I knew that I lacked in understanding the theories in underlying knowledge [such as] student development theories, and even the laws and the policies that govern higher education,” she said. As her graduation date neared, she began to seek out internships and employment opportunities. Her student visa allowed her a one-year grace period to find work after graduation. In January 2017, she applied and was accepted for an internship at Dartmouth. In the interim between her acceptance and the May start date of her internship, she began applying for jobs. In April, she received a job offer from Dartmouth as a program assistant at the Frank J. Guarini Institute for International Education. She accepted the offer, and pleased with the promise of an internship and later employment, she moved to New Hampshire. “What I did not know at the time was that the job was not going to sponsor my work visa,” she said. When she arrived, she began shadowing the employee who she would soon replace. She also reached out to her department and asked what she needed to do in order to have the paperwork for her H-1B work visa processed. They directed her to Dartmouth’s Office of Visa and Immigration Services. These specialty workers may include advanced STEM professionals or “some sort of master in a particular field of specialization,” according to Bruno. Because there is high demand and limited opportunities for American jobs, the H-1B visa program is consistently over capacity. In February of this year, President Trump issued an executive order reiterating the program’s “specialized knowledge” requirement and calling for increased attention to employers’ justifications for sponsorship. Candidates must clearly demonstrate that the sponsored employee is uniquely qualified for the position. These regulations make the manner in which the employer constructs the job description highly significant. Dartmouth does not state that Gopal’s job requires a bachelor degree, a fact with which Gopal takes issue. Gopal wrote in her job application — and was sure to mention in her interview — that she was an international student and would need to be sponsored for an H-1B work visa. However, according to Bruno, there is no legal mechanism for organizations to sponsor employees for jobs that do not require advanced degrees unless that job is a specialty trade, like cuisine or artistry, and the applicant has extensive lived experience. Thus, Dartmouth hired Gopal with no legal ability to keep her employment. Two months after Gopal accepted Dartmouth’s job offer, OVIS told her that Dartmouth would not sponsor her work visa, that there was nothing they could do to help and that she was on her own, Gopal said. “It still feels unreal,” she added. Though the H-1B program is typically utilized for more technical science and technology positions, Gopal has classmates who were sponsored for administrative positions at other universities like Michigan State University. Given this knowledge and the reputation of a prestigious institution like Dartmouth, Gopal was stunned to learn that she would not be offered an H-1B visa. Gopal tried applying for other positions, seeking another employer who might be able to sponsor her work visa, with little success. She says that she has been approached by other international employees who accepted job offers from Dartmouth only to learn that the College would not sponsor their H-1B visas, though Gopal declined to provide names. Furthermore, according to Bruno, employers filed for a collective 200,000 visa sponsorships last year, entering a lottery through which only 55,000 visas would be awarded. In 2017, as many as 145,000 individuals were denied H-1B visas, according to Bruno. The timeline of the H-1B program further complicates the matter. According to Bruno, filing season begins April 1, and visas are distributed six months later on Oct. 1. This fixed schedule does not allow for fluctuating life circumstances and is made more unforgiving by the speed with which employers and employees must act. “So many employers apply for these visas that the visa application period shuts down, typically, seven days later for the rest of the year,” Bruno said. According to Bruno, for an individual in Gopal’s situation, legal action is likely off the table. Gopal is unsure of what to do next. As Gopal considers her options moving forward, it is difficult to keep up. She has been accepted to several graduate programs but must reapply for a student visa, and once she secures a doctoral degree, her path forward is unclear. Ideally, however, she will remain in America. Gopal is glad she was able to work at Dartmouth for the short amount of time that she did. Through her internship with the Guarini Institute, she was able to “make the difference for students who have never studied abroad,” she said. She hopes that in sharing her story, she will be able to prevent what happened to her from happening to someone else. She wishes the process of legal immigration were easier, and though she would never consider illegal immigration, she understands its appeal, as “there’s just not an easy path for someone, even if they have so much to offer.” For a passionate Gopal, eager to learn a new way of life, proving what she has to offer seems within reach, yet at the same time, inaccessible. Correction appended (Aug. 16, 2018): This article has been updated to reflect that Gopal came to the United States in 2009, not 2008.